Navarra export catalogue - Producción de Moldes, S.A.L. Manufacture of aluminium moulds, for the production of P.V.C., balls, and sports articles by rotational system. 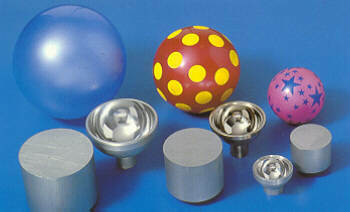 We are the suppler for the main manufactures of P.V.C., balls, in the world. 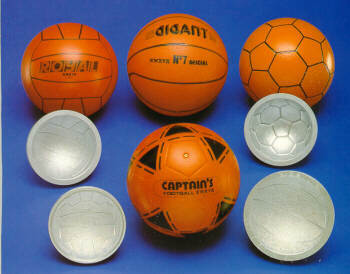 Our experience on this field, is for more than twenty five years, and we have also are produccer of reinflatable fubber xalves used in the P.V.C., balls, in several shapes and sizes.